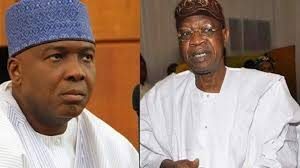 Lai Mohammed denies Saraki’s allegation of plot to annex Kwara to South-West – Royal Times of Nigeria. The minister of Information and Culture and leader of the All Progressives Congress (APC) in Kwara state, Lai Mohammed has described the allegation of the Peoples Democratic Party (PDP) in the state that APC is planning to annex the state to South West as tissue of lies. It will be recalled that at the kick-off of the PDP governorship campaign in Bode-Saadu, Moro local government area of the state last Tuesday, Senate President Bukola Saraki alleged that desperate politicians and their local collaborators are planning to annex the state to the South West. The minister responded to Saraki’s allegation in Ilorin on Thursday at a women sensitization forum for the forthcoming 2019 elections organized by the women wing of the APC in the state. 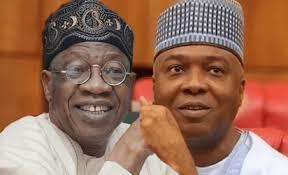 Mohammed said Kwara elections will be issue-based devoid of ethnicity, religion or gender. He said the issue at stake is how to retrieve Kwara state from the hands of one family that has cornered the state’s commonwealth and underdeveloped it for the last 40 years out of its 50 years existence. The minister also stated that despite the stance of Saraki, in using his position to sabotage national development to the detriment of the people, his loyalists from Kwara are still occupying executive positions. He said the Federal Government will not hesitate to sack those beneficiaries in executive positions. Earlier, the Kwara APC Women Leader, Hajiya Rahmat Okin-Abolaji, tasked women to come out in their numbers to vote for the APC in order to liberate the state from decades of poor governance.